Frederick Neville “Fred” Weatherly was born in Ozark, Alabama in 1898. His birthplace was mentioned in the New York Times, January 5, 1958 and a 1929 passenger list which also had his birth year. Census records for 1920 and 1930 U.S. Federal Censuses recorded his middle initial as “N”. In the 1920 census he resided with his maternal grandmother, Anna Neville, and aunt, Viola Neville, so Weatherly’s mother’s maiden name was his middle name. The website, Baseball Fever, profiled a number of baseball people including Weatherly. I disagree with the site’s census findings for 1900 and 1910, which have an October 1898 birth date and parents named Andrew and Laura. I found this particular “Fred Weatherly”, in subsequent censuses, to have been a farmer and life-long Alabama resident. I am inclined to believe the cartoonist was “Neville Weatherly” in the 1900 census which recorded his birth date as April 1898 and parents as Fred and “Maurie,” both Alabama natives. They resided in Geneva, Alabama. Weatherly has not been found in the 1910 census. The 1915 New York State Census listed Weatherly, his two sisters and maternal grandmother in his Aunt Viola’s household. He was an office errand boy. 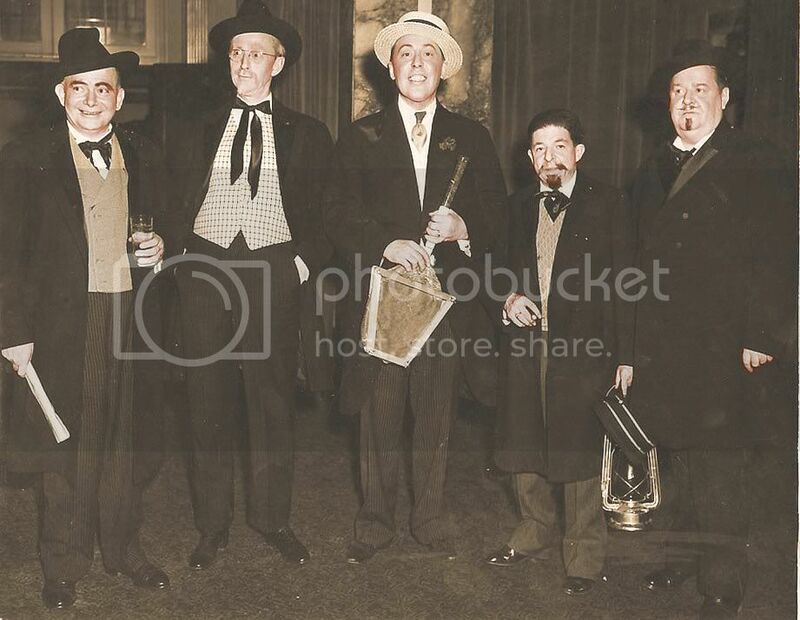 They resided in Upper Manhattan, New York City at 44-46 Pinehurst Avenue. The Times said Weatherly served as a pilot with the Royal Canadian Air Force during World War I. Information regarding Weatherly’s education and art training has not been found. In the 1920 census, Weatherly’s grandmother was the head of the household. They remained in Manhattan at a different address, 115 West 180th Street. 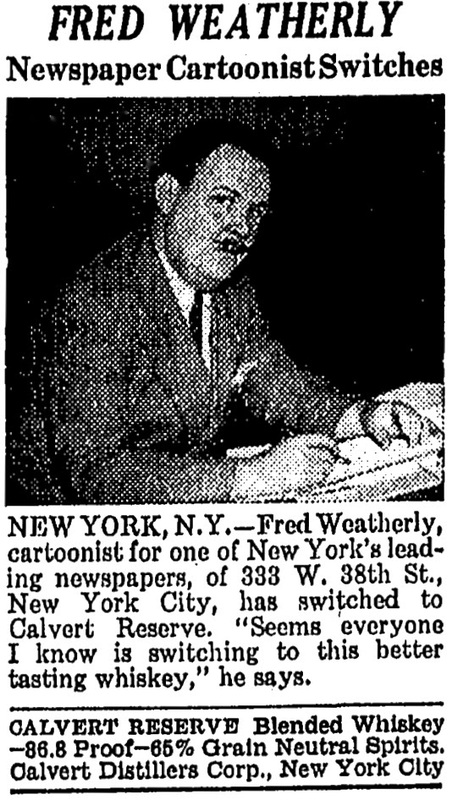 Weatherly was a cartoonist. At some point, Weatherly moved to Albany, New York. The Schenectady Gazette (New York), January 22, 1923, reported his new business and partners. Albany, Jan. 21.—(Special).—William B. Osborne, 28 Brandywine avenue, Schenectady, is one of the stockholders of the Fort Orange Recording Bureau which was granted a charter by Secretary of State James A. Hamilton Saturday. The enterprise is capitalize«d at $1,000 and has been formed to engage in a general advertising and publishing business. Others associated with Mr. Osborne in the project are Leo Lo Berthon, Fred N. Weatherly and James T. Healey, all of Albany. …Fred Weatherly, The Times Union cartoonist, got down to Chatham in time to catch all the boys there including the wrestlers and the basket ball team. These will be shown in separate cartoons and the stories will feature each individual team…. Weatherly contributed to Collier’s and The Judge. Weatherly married Betty around 1928, according to the 1930 census which said he was 30 at the time. On January 28, 1929, the couple returned from a trip to Bermuda. Their address was 640 West 170th Street, New York City. 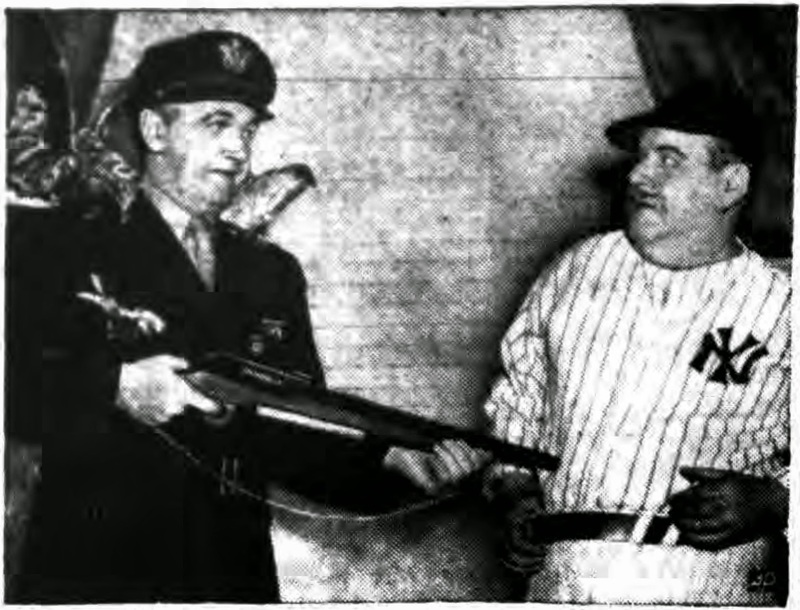 New York—One of the biggest laughs in the baseball writers’ show came when Larry MacPhail, the new president of the Yankees (played by Arthur Paterson), foisted himself upon Joe McCarthy (Fred Weatherly) in the bullpen. Some of the scribes said it could be the forewarning of what may happen this year in Yankee Stadium. “MacPhail” is threatening “McCarthy” with toy gun. Weatherly appeared in a whiskey advertisement that appeared in numerous newspapers including the Springfield Union, November 13, 1948. Another large New York newspaper, The New York Mirror, 235 East 45th St., New York 17, N. Y., will pay you $1 for each short, question and answer type of two line joke used by “Pete”, a cartoon character created daily for the paper by Fred Weatherly on the sport page. Weatherly passed away January 4, 1958, in East Rockaway, New York. His death was reported the next day in the Times. Fred Weatherly, a sports cartoonist on The New York Mirror, died yesterday of cancer in his home at 10 Third Avenue, East Rockaway, L.I. His age was 59. Mr. Weatherly created the comic feature “Pete.” Although he had been ill since last February, he had continued to send cartoons to The Mirror from his home. A member of the Baseball Writers Association of America, he was a friend of many notables in that sport. Mr. Weatherly, who was born in Ozark, Ala., began his newspaper career thirty-five years age on the old New York Journal. He joined The Mirror soon after it was established in 1924. Before that he had worked also on The Boston Record and The Knickerbocker News in Albany. During World War I Mr. Weatherly was a pilot with the Royal Canadian Air Force. His first wife, Betty, died in 1942. He is survived by his widow, the former Estelle Bryant Duffy.